Hypnosis is a natural state of relaxation. It is a unique and wonderfully calming experience where you feel deeply relaxed, both physically and mentally. Life can be stressful and hectic and we all need to allocate time to ourselves where we can switch off our busy conscious mind. Through hypnosis you will learn special breathing and muscle relaxation techniques, experience positive visualisation exercises and learn how to use self-hypnosis for deep relaxation. This will help you become much calmer and feel more in control of your emotions and stress levels. You will be able to think clearly and have more confidence in your ability to make decisions and cope with difficult situations. 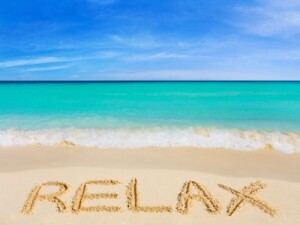 Experiencing this deep relaxation with hypnosis can have many other positive effects. It can help improve sleep, increase your ability to manage stress and boost your energy and motivation. All clients receive relaxing hypnotherapy CDs and have an opportunity to learn self-hypnosis as part of their treatment. Learn to relax the mind and body – call today for your free consultation.